It's really a shame that everyone gets all excited about Magnolia Bakery's cupcakes when in truth they offer a plethora of other more tasty desserts. But we are never one to look a gift horse in the mouth, especially when it comes bearing dessert. 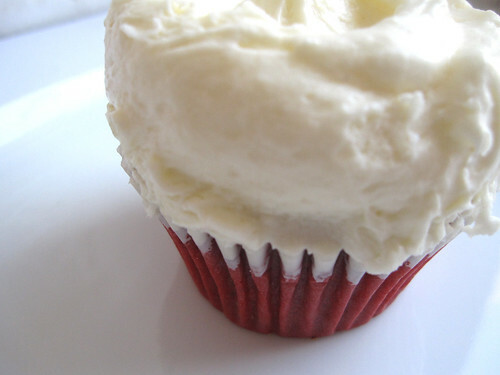 What is a red velvet cupcake? I have never heard of such a thing (possibly because I am British) - please enlighten! RVR- Wikipedia can explain better than us. It's been gaining popularity up here recently - don't know how that started.